Saving and investing are two sides of a coin. They have similarities and differences, but both play important roles in a sound financial plan. Before you decide whether to put your money into a savings account or to invest it in the securities market, you should first determine what you want your money to do for you, how much risk you can tolerate and how much time you have before you'll need that money back. 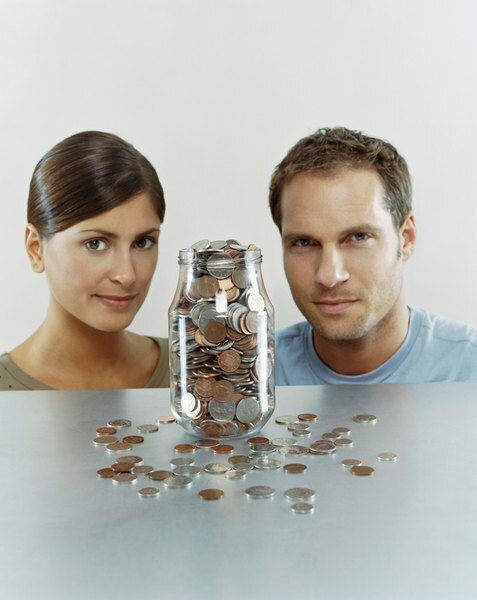 Savings accounts come in a number of different sizes and shapes to fit a variety of needs. Traditional passbook savings accounts don't offer much in the way of interest, but you have ready access to your money whenever you need it. Certificate of deposit accounts pay higher rates, but they lock up your money for a set period and may charge a hefty penalty for early withdrawals. Bank money market accounts combine higher interest with greater access, but they usually limit how many withdrawals you can take each month. Savings accounts at federally insured banks and credit unions are among the safest places to keep your money. The Federal Deposit Insurance Corporation insures your bank deposits up to the maximum allowed by law, which was $250,000 per account ownership category as of 2013. The National Credit Union Administration provides similar coverage to savings account deposits at member credit unions. A security is an investment on which you expect to receive a return. Common types of securities include stocks, bonds, limited partnerships and investment trusts. All investments in the securities market involve risk, and some securities are riskier than others. You'll typically have to incur a higher risk if you want to earn a higher return on your investment, but the opposite does not always hold true. Just because a security is risky doesn't mean it offers the potential for a greater reward. Certain types of securities, such as stocks, have historically outperformed savings accounts over long periods. For example, $100 deposited in a savings account in 1945 would be worth $1,969 in 2011. If you had invested that same $100 in the stock market, it would be worth $198,906 according to the USAA website. The U.S. Securities and Exchange Commission's Investor.gov website notes that investors who are able to ride out the stock market's ups and downs for long periods -- 15 years or more -- typically earn strong, positive returns. But the securities market offers no guarantees; you could lose some or all of your investment.